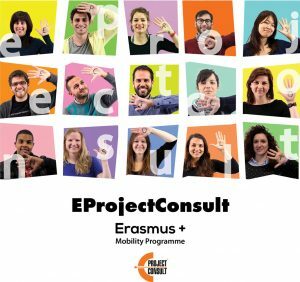 My name is Athanasios Mourikis and I am working as trainee at the office of EProjectConsult (the International department of the A ROCCA organisation), under the LLP program of Erasmus Placement. I would like to share my experiences about the projects’ outcome, and more specifically, what I have seen through the implementation of the LLP Mobility project of our group of students from Macedonia. They are from a Macedonian high school witch specialization is the agricultural sector and come to the city of Barcellona Pozzo di Gotto under Leonardo da Vinci IVT Mobility Program “Bio Rural Business”. The duration of their stay in Sicily was three weeks (from the 16th of January to the 7th of February 2013). During these days I was pleased to follow them in many of their daily activities, so I understood deeply the importance of the program’s implementation. Their Program was composed by various aspects: from visiting companies, which are interesting to their sector, to excursions and Happy Hours. Concerning their accommodation, the stuff of EProjectConsult had arranged for them two apartments, full furnished, in the center of Barcellona P. G. Furthermore, the office guaranteed for full board service, including lunch and dinner. Regarding their Program in details, in the weekdays they were visiting companies which had strong relationship with the agricultural sector, like wine production companies, garden houses, olive oil production plants, orange companies, cheese factories, etc. Thus, it is understandable that students had a unique opportunity to become acquainted with plenty of sections that belonged to their field of study, where it is possible for the students to deal with those type of companies in the future as professionals. Moreover, their visit to the agricultural college of Barcellona P. G. let them to have the chance to exchange pedagogical methods as well as to expand their communicative perspectives with other children and teachers. Further of the learning outcomes, in the dimension of entertainment, their program included various excursions at the wonderful island of Sicily. The group had the opportunity to visit historical cities such as Palermo, Catania, Messina, Siracusa, Taormina, Milazzo, Noto, Cefalù, etc., including ancient villages and Greek/Roman areas. High importance visiting was also the excursion to the mountain of Etna – the biggest active volcano in Europe, where its precious solid gave a lot of interesting geological information to the students. In addition, there were many Happy Hours comprised by visits to Pizzerias as well as to the “Jalari” Park Museum a great park of several hectares where is possible to count more than 2000 scultures. Finally, through the method of non-formal learning, it is achieved combination of practical learning and embracement of intercultural heritage. Of course, for the whole project is provided certification for the package of the various social activities, so it is ensured officially their project. Every week there was evaluation of the project, as well as the Final Evaluation gave the final report witch show the degree of usefulness. Within those three weeks the experience I had with the Macedonian group gave me the opportunity to gain many information about all these projects and programs, as well as it intrigued me to search for my own perspectives an opportunity to participate at an LLP program. I already have started to propagandize it also to my friends. What else, I suggest to stay tuned if you want to hear more information about the next project we will coordinate! !